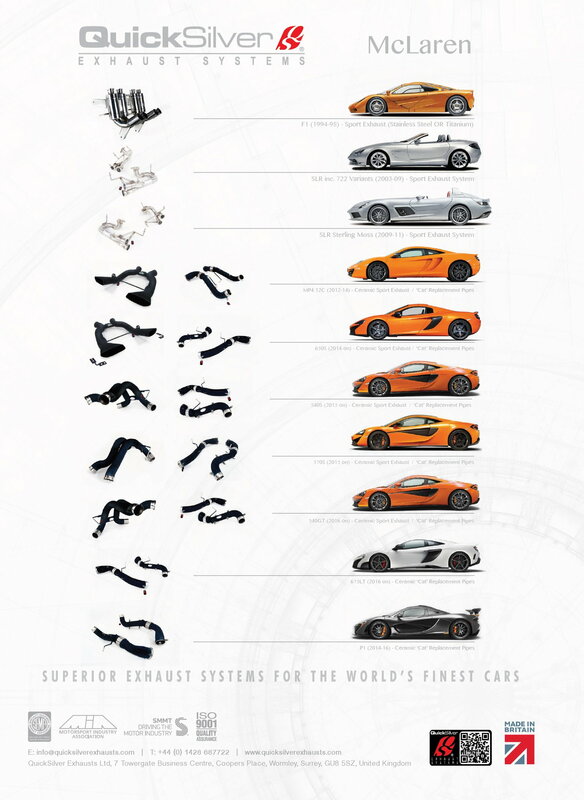 Full Range of Sports Exhaust Systems for All McLaren Models !! Ceramic Coated for Improved Heat Efficiency and Gas Flow Leading to Improved Throttle Response. Lightweight to Improve Handling and All Round Performance. Last edited by QuickSilver X; 07-26-2017 at 04:55 AM.